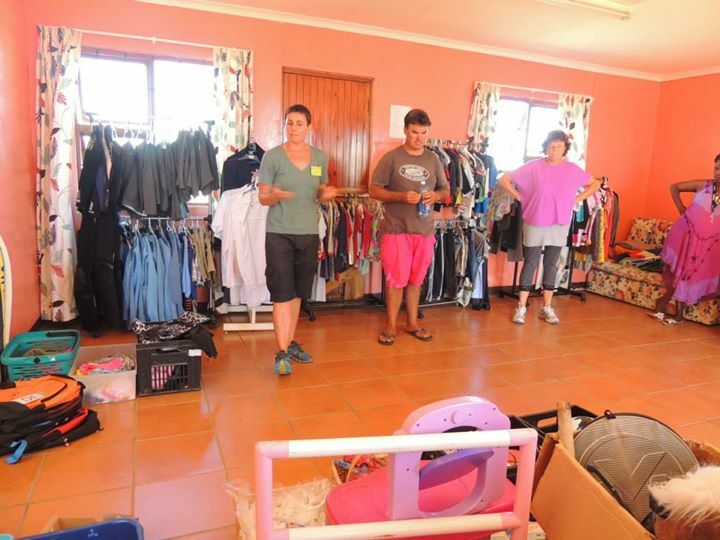 The JBay Recycling project would not be in existence if it was not for the volunteers who give their precious time to keep it running. We always welcome new volunteers with open arms and hearts! How do you know if you have what it takes to become a volunteer? These are the areas in which we need helpers on a Monday afternoon for either the whole afternoon (from 11:30 to 17:00) or for an hour or two. working the line – the children queue for their turn and need assistance in sorting their recyclables. the recyclables are processed in to huge bags – we especially need manpower for this job. Often there are huge bags of plastic or glass that needs to be moved around. The only qualification that you need is to have love in your heart and a willingness to help.The Recycling shop is held every Monday afternoon from 12:30 onwards at the CMR Building in Pellsrus. IF you need a lift or directions, please contact us for assistance. It will be lovely to see you there. All of our volunteers agree that in the end they themselves benefit the most from giving their time!